You’ve noted down the must-see new yachts, researched the best restaurants and even have a hit list of celebrities to spot at the Monaco Yacht Show parties. Now there’s just one thing left to consider – what to wear. Make sure you’re ready for everything from breakfast meetings to yacht hopping and cocktails parties with our edit of the must-have pieces for every man’s Monaco Yacht Show wardrobe. For day a pair of lightweight cotton chinos are ideal for staying cool, comfortable and smart during a packed schedule of back-to-back meetings. 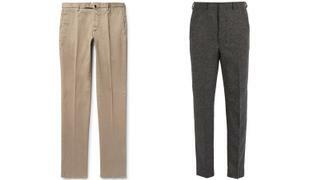 Switch to something a little more formal for evening – choose grey instead of black for a modern feel. Add a little flair to traditional navy this year and pair your chinos with Stefano Ricci’s checked blue blazer. It’s smart enough for serious business but just different enough to make clients remember you after the show. 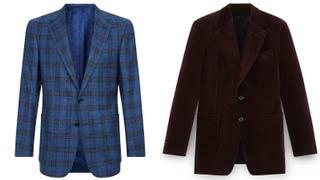 For evening a dark oxblood velvet jacket is just the thing when being hosted on board. 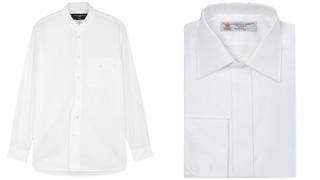 Keep it classic and stock your Monaco Yacht Show wardrobe with good quality white shirts to see you through the show. Hard-wearing, crisp cotton is best for long, warm days while party time requires something a little more luxurious. 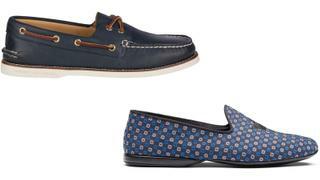 Hopping on and off some of the largest yachts at the Monaco Yacht Show all day requires a pair of the best men’s boat shoes on the market. With lambskin lining and sophisticated 18k gold-plated eyelets, you could do much worse that Sperry's classic pair. Once night falls, slip on a pair of Church’s luxurious jacquard slippers - elegant and practical. Keep packing to a minimum and your outfits looking fresh with a few well chosen eye-catching accessories. 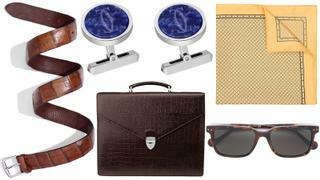 A great bag, tie, pocket square or set of cufflinks is an easy way to stay looking polished. 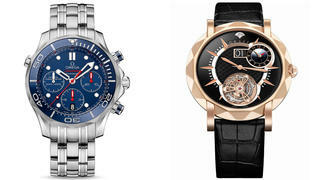 Choosing your watches for the Monaco Yacht Show is simple. You need two: a classic sailing watch for day and beautiful black tie timepiece for night.